There is great Kosher food in Montreal but unfortunately not in the neighborhood. There is one kosher cafe downtown called Le Plezl. Click here for hours and address. 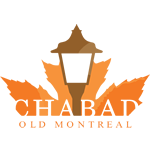 Click here for info on all other Montreal Kosher restaurants, take outs, bakeries and more. Travel time to most kosher places from downtown is about 15 minute drive, and some places deliver. Contact directly for info.